An East Haven woman's posts about the boss lands her in court. A first of its kind legal case might be heard in a Hartford courtroom on Tuesday, unless a settlement is reached soon. At issue is a posting on Facebook and an East Haven woman’s job. Dawnmarie Souza, an emergency medical technical at American Medical Response of Connecticut Inc., was fired in December 2009 after bashing the boss on Facebook. The National Labor Relations Board said Souza was illegally fired from her job. “In this situation she was on her own time, on her own resources and that’s really what makes this case different,” Jonathan Kreisber, NLRB Regional director said last month. But American Medical Response said Souza was fired for violating company policies. 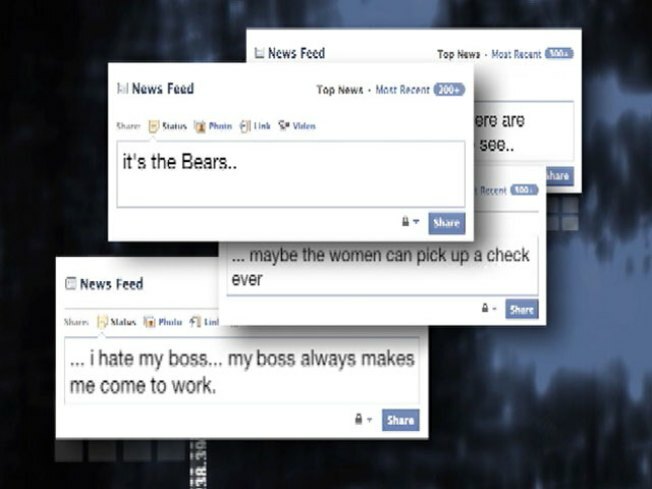 The outcome of this hearing in front of a federal labor judge could impact companies nationwide, as more workers use social networking sites to share details about their jobs. The NLRB wants AMR to reinstate Souza with back pay and admit what they did was wrong. AMR officials said Souza was fired because of bad service. Tuesday’s hearing will only be held with both sides can’t agree to a settlement.